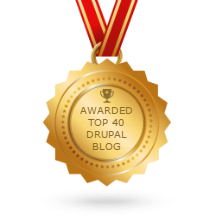 Home » Blog » Are your private Drupal files secure? Check now! I couldn't quickly determine if this module had magic in it that would detect the fact that I'm moving to private:// and update these records for me. 2. Clearly using private:// is more secure, but I've always wondered: If files are public, but there is no public page that links to them and you can't get a directory listing in the browser by visiting the public path, how might these files be discovered? Do web crawlers have some sneaky way of finding them? So, it seems the file_entity module has you covered! If there are no public links to the files, and the webserver won't give a directory listing, and the file names are completely unguessable - then no one will be able to find them. Right, that works on an entity-by-entity basis. 1. If you are using the file_entity module on a site where you want to move <b>all existing files</b> from public:// to private:// is it also necessary to run an sql update like this (see above). I believe the answer is "yes" you need to run that SQL after moving the files to the correct directory on the server filesystem. <b>Or alternatively</b> you can edit the destination setting on each file entity. I believe the answer is "yes"
I believe the answer is "yes" you need to run that SQL after moving the files to the correct directory on the server filesystem. Correct, if you move the files on disk without going through Drupal, you'll need to update the database for the new URI too. And open social but the problem is that on public the private images and especially the images linked to profiles are encrypted and hidden substituted with an interrogative sign or a broken image. I ve joked with the permissions but in vain. i ' m still struggling. Sorry you're having problems :-/ It hard to give more advice, I'd really need to try and fix it on your site. If you're interesting in getting some paid support from us, please check out our plans and send us an email at [email protected]!